Motorola has launched the Motorola Moto E5 Plus and the Moto E5 in India. The Moto E5 Plus will go on sale for ₹11,999 ($174), while the Moto E5 will be available for ₹9,999 ($145). The smartphones slot in below the Motorola Moto G6 in Motorola’s budget 2018 smartphone lineup. The Moto E5 Plus and the Moto E5 were announced in April, and have since gone on sale in several markets. 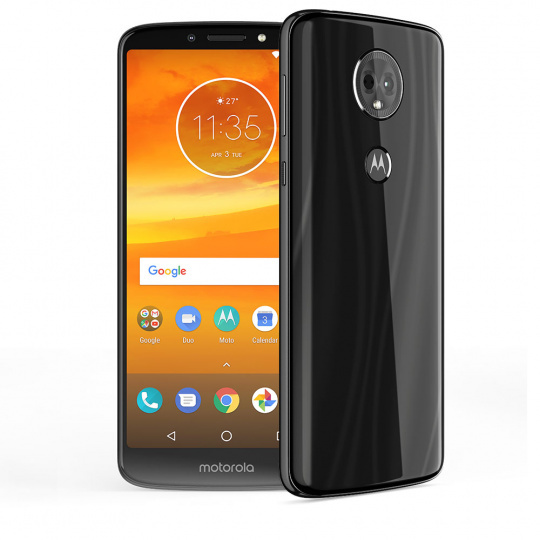 They were announced alongside the Moto E5 Play, Moto G6, Moto G6 Play, and the Moto G6 Plus. Motorola launched the Moto G6 and the Moto G6 Play in India last month, while the Moto G6 Plus (the flagship of the Moto G series) is still not available in the country. Now, the company has brought the Moto E5 Plus and the Moto E5 to India, while opting not to bring the entry-level Moto E5 Play to India. The Indian variant of the Moto E5 Plus has a few differences when compared with the global variant. It’s powered by the 28nm Qualcomm Snapdragon 430 SoC, and not the Snapdragon 435. It has dual SIM slots, and it has different LTE bands when compared with the global variant. The Moto E5 Plus’ specifications are standard for a 2018 budget phone, although it won’t compete on value against phones such as the Oppo Realme 1, Asus ZenFone Max Pro M1, and the Xiaomi Redmi 5 Plus/Indian Redmi Note 5. Its major differentiating feature is the presence of a huge 5000mAh battery, equaling the battery capacity of the Asus ZenFone Max Pro M1. The phone has 3GB of RAM with 32GB of storage, along with a microSD card slot that supports up to 128GB expandable storage. The Moto E5 Plus has a 6-inch HD+ (1440×720) 18:9 IPS LCD, and a 12MP rear camera with an f/2.0 aperture, 1.25um big pixels, LED flash, and PDAF + laser autofocus. Camera features include manual mode, burst shot, slow motion mode, video stabilization, and more. It has a 5MP front-facing camera with an f/2.2 aperture, 1.12um pixel size, and Selfie Flash/Light. It ships with Android 8.0 Oreo. The Moto E5 Plus costs ₹11,999 ($174) in India for the single 3GB RAM/32GB storage configuration. It will be available in Black and Fine Gold colors. The phone will be available on Amazon India as well as via Moto Hub stores. It will be available for purchase from July 11 at midnight IST. Launch offers will be applicable on July 11 and July 12. They include a ₹800 discount for users using an SBI card, and “130GB additional data” from Reliance Jio. Consumers using the Paytm Mall app to purchase the phone will get ₹1,200 cashback on mobile bill payments, recharges, and utility payments. The Moto E5 is a lower-end variant of the Moto E5 Plus. Key differences in specifications include a smaller 4000mAh battery (as compared to the E5 Plus’ 5000mAh battery), lesser RAM and storage (2GB/16GB compared with 3GB/32GB), and a less capable SoC. The Qualcomm Snapdragon 425 is an entry-level SoC, and it downgrades the CPU as well as the GPU performance. The Moto E5 features a smaller display (5.7-inch as compared to 6-inch), and less capable rear and front cameras. The Moto E5 is now available for purchase in India. It is available in Flash Grey and Fine Gold colors. It costs ₹9,999 ($145). Users can buy it via Amazon India, Moto Hub stores, and leading retail stores. Applicable launch offers include “130GB additional data” from Jio, and the ₹1200 cashback offer for Paytm Mall users.